Very Good. Quarto, softcover, VG in yellow and white pictorial wraps. Here is the most succesful beginning reading program available to schools across the country. Research has proven that children taught by the DISTAR method outperform their peers who receive instruction from other programs. Now for the first time, this program has been adapted for parent and child to use at home. 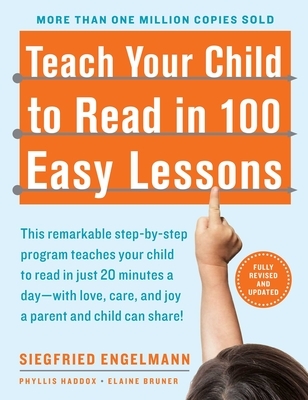 "Teach Your Child to Read in 100 Easy Lessons" is a complete, step-by-step program that shows parents simply and clearly how to teach their children to read. 395 pp.